Copacabana Budget Accommodation - Renovated and only a short walk to the beach. Air Conditioned lounge/living areas with large plasma television and DVD. Ceiling fans in each of the three bedrooms. Modern kitchen with microwave, dishwasher, breakfast bar and a separate dining room. 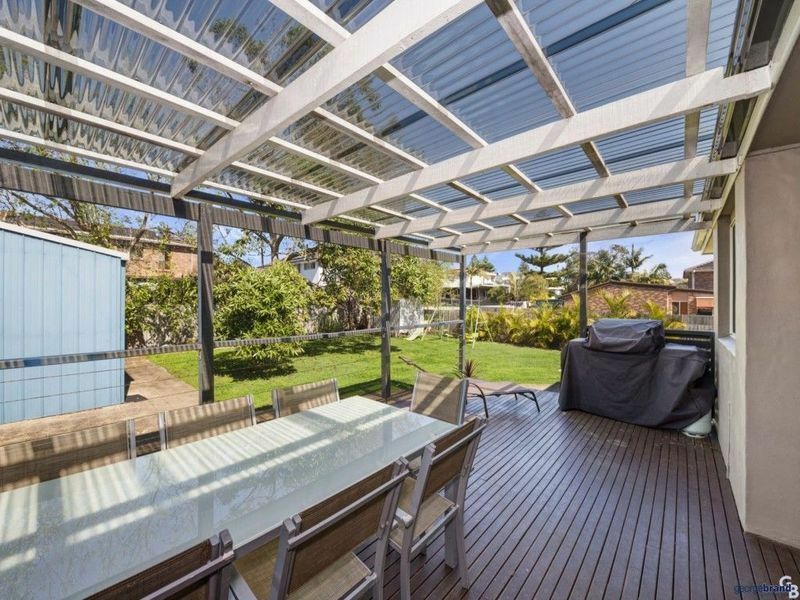 There is a lovely undercover rear deck overlooking a large flat grassy backyard, fully enclosed and perfect for children. The main bedroom contains queen size bed, bedroom two has a queen and bedroom three has a set of bunk beds. Linen not provided. The bathroom is new and fresh, with a separate bath and shower. The laundry has a new washing machine and dryer. A travel cot and high chair are available for those with toddlers/babies. Copacabana Beach is one of the Central Coast's most breathtakingly beautiful and relaxed beaches. It's a patrolled beach perfect for swimming, surfing and there's a rock pool for the kids. The local village has cafes, restaurant, convenience stores and there's a coffee shop at the Surf Club. This property is let for holiday purposes only and each booking is subject to our Terms and Conditions. No parties or large gatherings are permitted.